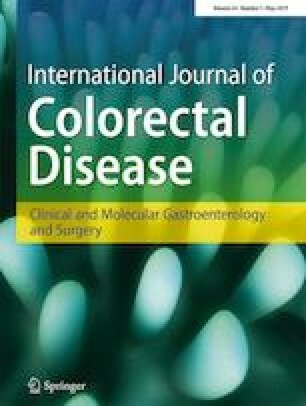 To evaluate comparative outcomes of medial-to-lateral and lateral-to-medial colorectal mobilisation in patients undergoing laparoscopic colorectal surgery. We conducted a systematic search of electronic databases and bibliographic reference lists. Perioperative mortality and morbidity, procedure time, length of hospital stay, rate of conversion to open procedure, and number of harvested lymph nodes were the outcome parameters. Combined overall effect sizes were calculated using fixed-effects or random-effects models. We identified eight comparative studies reporting a total of 1477 patients evaluating outcomes of medial-to-lateral (n = 626) and lateral-to-medial (n = 851) approaches in laparoscopic colorectal resection. The medial-to-lateral approach was associated with significantly lower rate of conversion to open (odds ratio (OR) 0.43, P = 0.001), shorter procedure time (mean difference (MD) − 32.25, P = 0.003) and length of hospital stay (MD − 1.54, P = 0.02) compared to the lateral-to-medial approach. However, there was no significant difference in mortality (risk difference (RD) 0.00, P = 0.96), overall complications (OR 0.78, P = 0.11), wound infection (OR 0.84, P = 0.60), anastomotic leak (OR 0.70, P = 0.26), bleeding (OR 0.60, P = 0.50), and number of harvested lymph nodes (MD − 1.54, P = 0.02) between two groups. Sub-group analysis demonstrated that the lateral-to-medial approach may harvest more lymph nodes in left-sided colectomy (MD − 1.29, P = 0.0009). The sensitivity analysis showed that overall complications were lower in the medial-to-lateral group (OR 0.72, P = 0.49). Our meta-analysis (level 2 evidence) showed that medial-to-lateral approach during laparoscopic colorectal resection may reduce procedure time, length of hospital stay and conversion to open procedure rate. Moreover, it may probably reduce overall perioperative morbidity. However, both approaches carry similar risk of mortality, and have comparable ability to harvest lymph nodes. Future high-quality randomised trials are required. Shahin Hajibandeh and Shahab Hajibandeh equally contributed to this paper and joined first authorship is proposed. The online version of this article ( https://doi.org/10.1007/s00384-019-03281-7) contains supplementary material, which is available to authorized users. Conception and design: Shahin H, Shahab H.
Literature search and study selection: Shahin H, Shahab H.
Data collection: Shahin H, Shahab H.
Analysis and interpretation: Shahin H, Shahab H.
Writing the article: Shahin H, Shahab H.
Critical revision of the article: All authors. Final approval of the article: All authors.